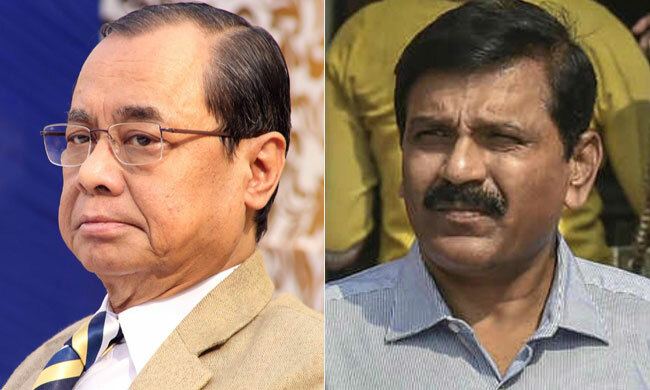 The Supreme Court on Tuesday held former CBI Acting Chief M. Nageshwar Rao in contempt for the transfer of Joint Director A. K. Sharma, who was overseeing the investigations in the Muzaffarpur shelter home case, in violation of the court's express restraint. Besides imposing a penalty of Rs. 1 lakh on Rao, to be deposited within one week, Chief Justice Ranjan Gogoi also required him to "sit in a corner of the court until the such time the bench rises for the day". Conceding that it was a serious mistake on the officer's part, Attorney General K. K. Venugopal submitted that it was not wilful and that Rao has already tendered an unconditional apology to the court for his action. Praying that the bench be considerate in its approach towards Rao, the AG advanced that the officer's career spanning over thirty years has been clean and free from any controversies. It was the duty of the junior lawyers in the agency to run the prospects of the transfer by the court, he added. "Why is a contemnor being defended at the government's cost? ", wondered Chief Justice Gogoi at the threshold. "It is apparent from the records that the order of this court prohibiting any transfers except with its previous consent was known to him! There was a mention of filing an affidavit before the court in respect of the transfer but nothing of the sort was done! It is incomprehensible how he anyway proceeded to sign the relieving order! If this is not contempt, then what is? Would the heavens have fallen if the leave of the apex court had been sought first? ", rebuked the Chief Justice. The Chief Justice also took note of the context in which any transfer of the investigating officers in the matter without the permission of the court was restricted- in November last year, a bench headed by retired Justice Madan B. Lokur had come down heavily on the Bihar state police for its "soft" and "selective" approach in registering FIRs in connection with the Muzaffarpur travesty. Consequently, the probe had been vested in the CBI, with the mandate that the first status report be filed in January, 2019. The AG again urged that the court show mercy, pleading that if Rao, now an Additional Director in the CBI, is held guilty of contempt of court, his career will be drastically impacted. "To err is human, to forgive is divine", said the AG. His track-record is now already tainted, even if we were to accept his apology. He has himself admitted to being guilty of contempt, remarked the Chief Justice. "The dignity of the court cannot be sustained by the power contempt" and that he has himself "never evoked the power of contempt in all these years", the Chief Justice, however, called out Rao for his "brazen" and "blatant" disregard of the "majesty" and the "dignity" of the topmost court in the country. "If we are to hold him in contempt, which we will, would you argue on the subject of sentence? ", the CJ inquired from the AG. As the AG suggested that Rao be let off with a fine, the CJ asked Rao himself whether he would have anything to say if the court considered sentencing him to 30 days' imprisonment. With folded hands, both Rao and CBI Director of Prosecution, S. Bhasuran, apologised profusely before the bench. Holding both Rao and Bhasuran guilty of contempt, the Chief Justice, however, clarified that Sharma's transfer is not overturned.